It’s a free pattern from Lion Brand called Short and Sweet Child’s Cardigan and I modified it to fit Little E who wears a size 6 and made the modifications based on her measurements. You can get the pattern from Lion Brand’s website here. I used Caron Simply Soft yarn in a total of four colors. The front is done in a bright pink, the sleeves are turquoise, and the back is purple then I did the trim in a rainbow multi. I did not make the collar and instead I just continued the single crochet around the neck for finishing. The Caron Simply Soft is super soft and drapes for this sweater well. It’s so soft Little E slept in it the first night. She did not let me sew the sleeve cuffs and wanted them loose, I may override her though because when they are unfolded the bell shape of them makes me think of a mariachi band. I love this pattern, but hate the sewing. 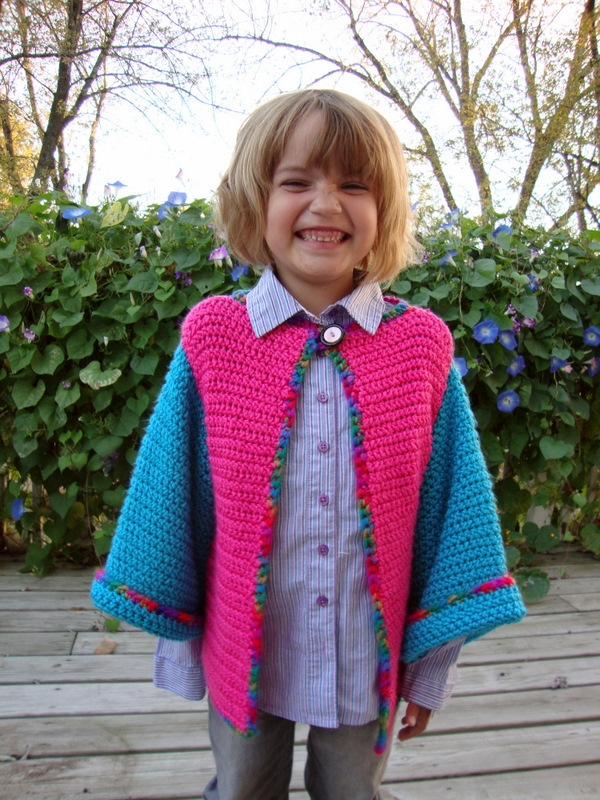 I am going to try to get my notes done for future reference for anyone who wants to make one for an older child since the pattern stops at size 4. I have gotten so much more crafting done this last month! 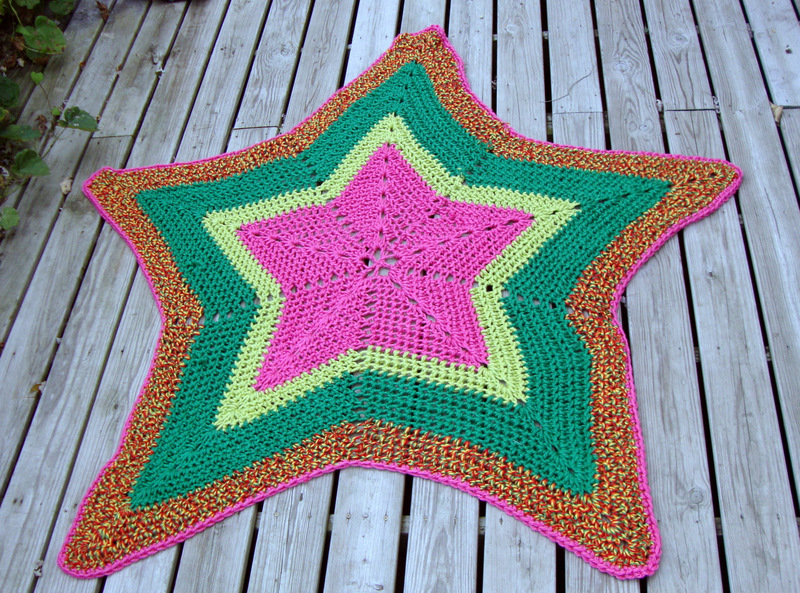 I finished yet another gigantic starghan and finally completed one holiday gift! 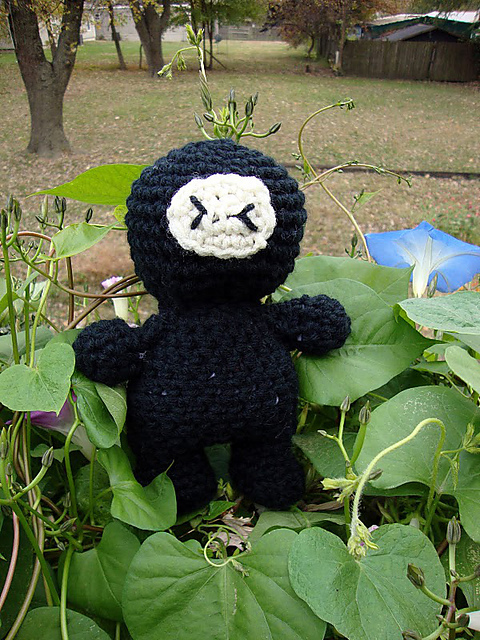 Oldest girl child asked that I make her a ninja minion and he came out really adorable – and the pattern is free!